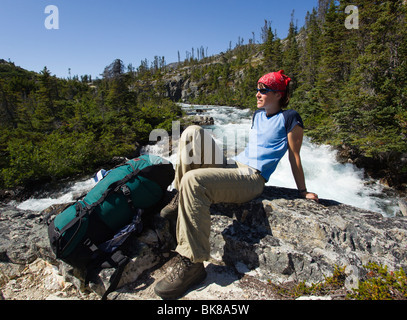 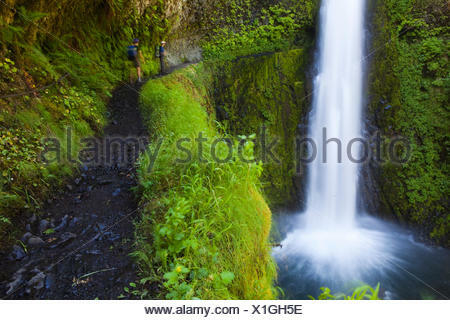 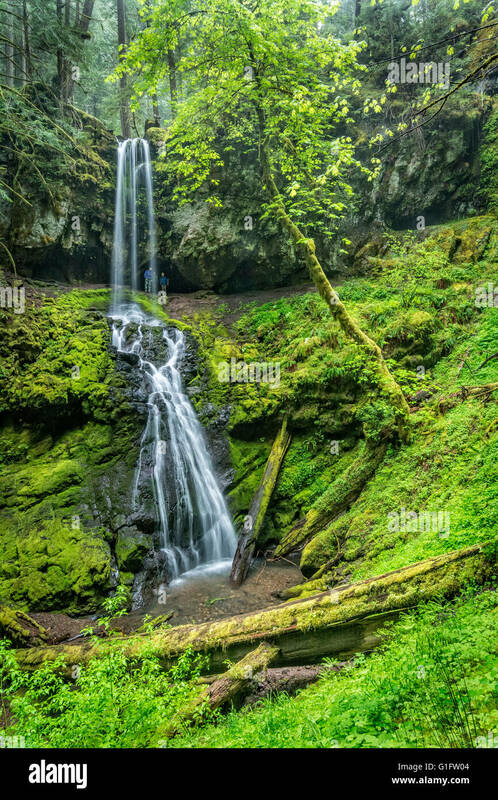 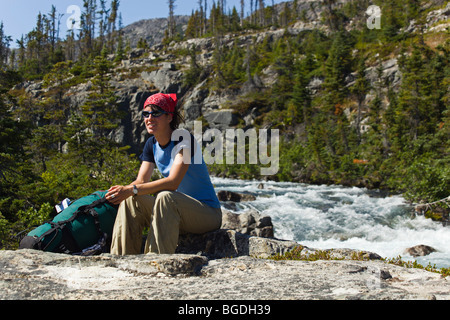 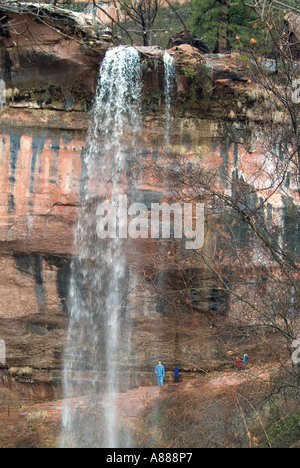 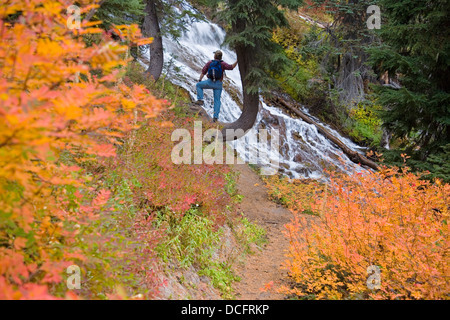 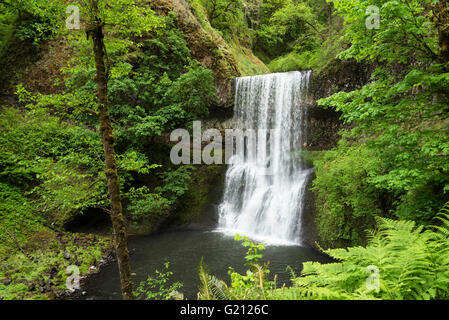 Hikers on trail behind waterfall at Upper Trestle Creek Falls, Umpqua National Forest, Oregon. 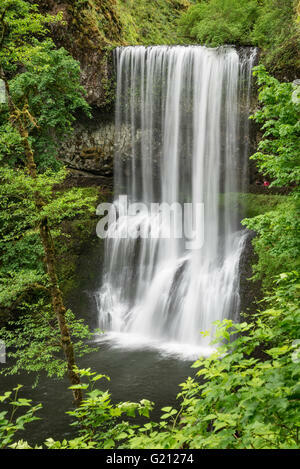 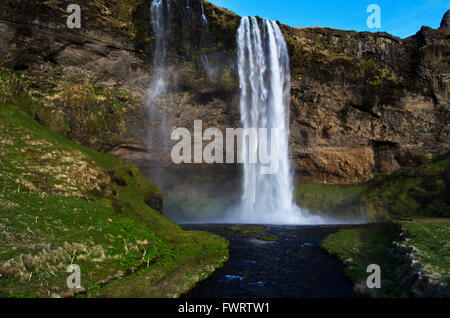 Lower South Falls, with hikers on trail behind the waterfall; Silver Falls State Park, Oregon. 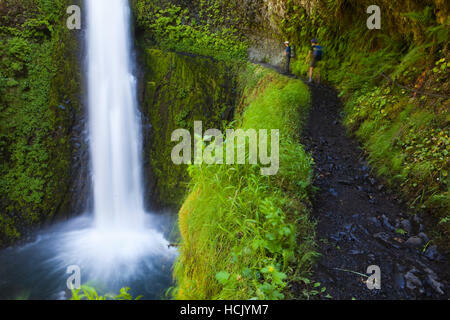 Lower South Falls, with family of hikers on trail behind the waterfall; Silver Falls State Park, Oregon. 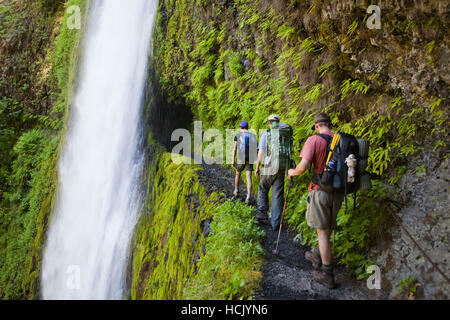 Hikers approach Tunnel Falls on the Eagle Creek Trail, cut into the basalt cliff behind the waterfall, in Columbia River Gorge National Scenic Area, Oregon. 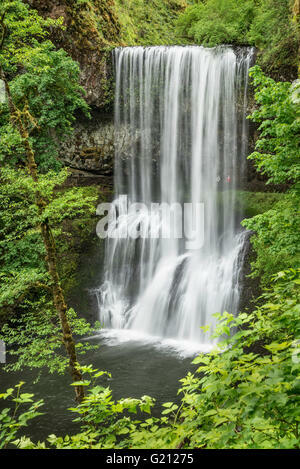 Lower South Falls with hiker on trail behind the waterfall; Silver Falls State Park, Oregon.